It’s time. It’s time to break out of the potato mold. By the end of Chanukah I find it hard to get the family to eat one more potato latke. They just can’t do it. They mean well. At the beginning of the holiday they can’t get enough of the golden brown, crispy, fragrant potato latkes. 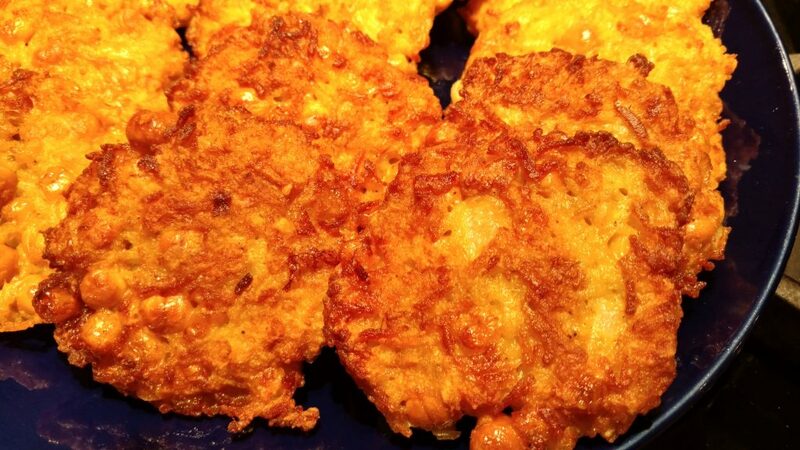 It’s not that they can’t eat any more latkes…it’s the lack of variety. SOMETHING OTHER THAN POTATOES!!!! Please!!!!! So..here are some brand spankin’ new latke recipes for you – and not a single potato in sight! 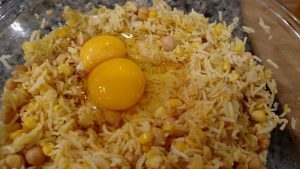 The key is to use super fragrant, basmati rice! That’s right. Rice. 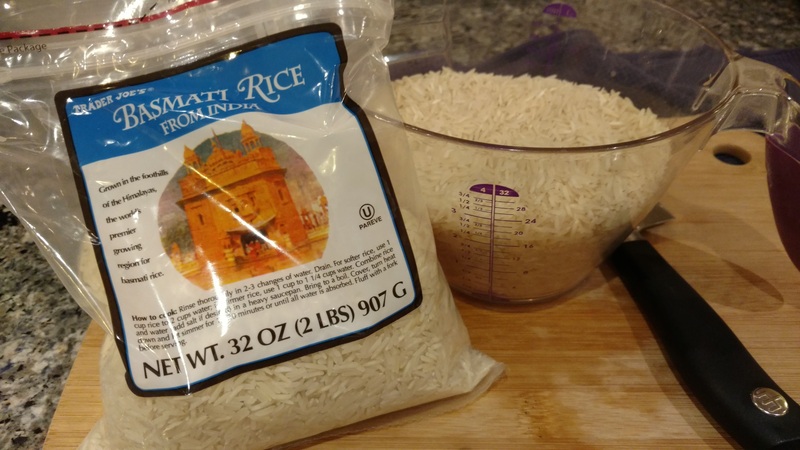 The basmati rice gives the latkes great texture and flavor. 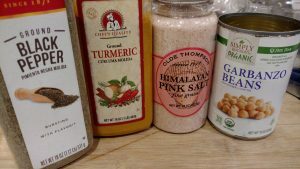 These are also incredibly simple to make, just a few simple ingredients that you probably have in your pantry. 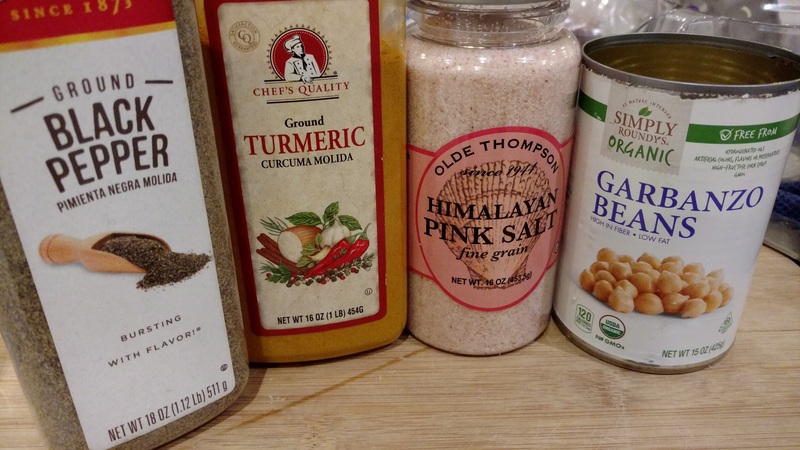 We had a fun time this past Shabbat with our guests playing “Guess what these are made of” and they were pleasantly surprised by the ingredient list. 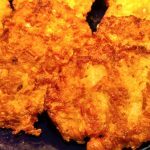 Similar to my super simple Hash Brown Potato Latkes , you can come up with your own versions of these recipes. I made a main course version as well as a desert version topped with ice cream (YUM!). I was forced to eat 4 of the dessert ones, with ice cream, for the photo shoot. You’re welcome for my personal sacrifice. Please let me know how yours turn out and if you have any flavor suggestions!!!! Looking for Chanukah gifts? Check out my Gizmos and Gadgets page! 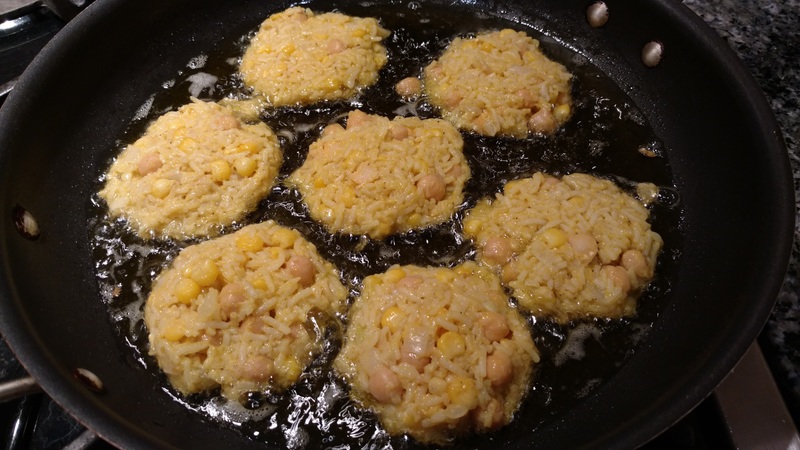 Next week…Cinnamon Rice Pudding Latkes…. 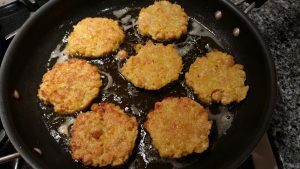 NOT your average potato latke! 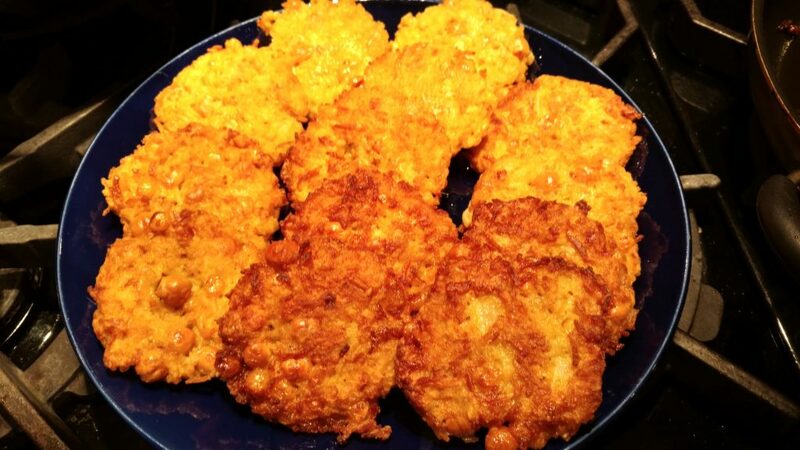 These delicious latkes are made with fragrant basmati rice and tumeric. Heat oil in a large pot over medium heat. 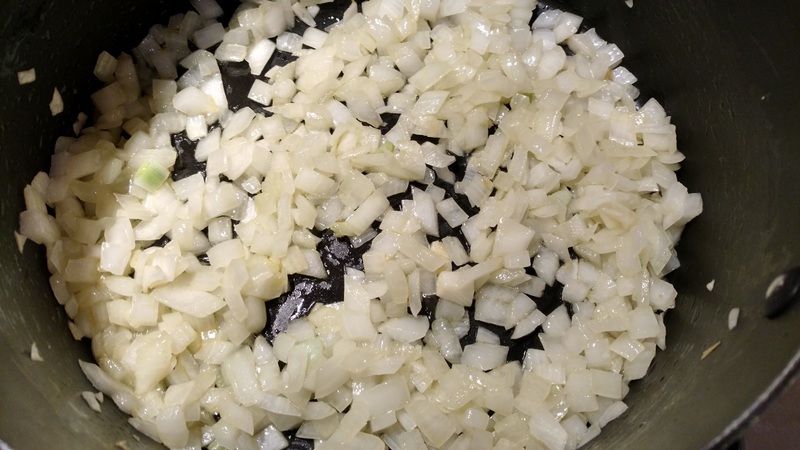 Add onions and sauté until onions are clear. 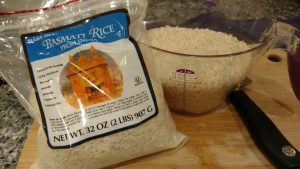 Add rice and stock and bring to a boil over medium-high heat. Reduce heat to low. Cover the pot and simmer for 15-20 minutes until all the stock is absorbed. Off heat and let the rice stand for 5 additional minutes. 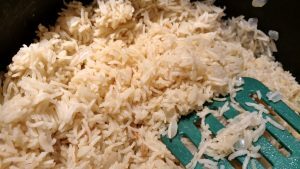 Fluff with a fork and allow the rice to cool. 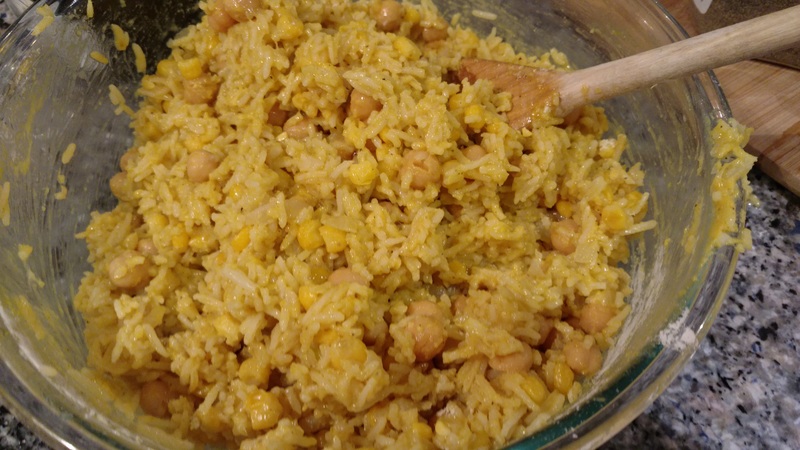 Add the corn, garbanzo beans, turmeric, salt, pepper, eggs, and flour. Mix until completely combined. Using a large soup spoon or scooper, scoop around 1/3 cup of rice mixture into a ball. Press the ball flat making sure that the rice all sticks together into a latke shape. 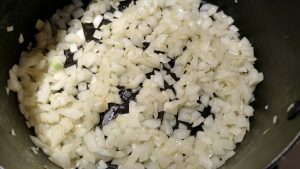 Place the latke into the oil, repeating until the pan is filled with latkes but not crowded. Fry the latkes until the bottom is golden brown, then turn and repeat with the second side. Do not flip the latkes until they are golden brown or they might fall apart. Repeat with the remaining rice mixture. Serve hot with cool, creamy, sour cream. 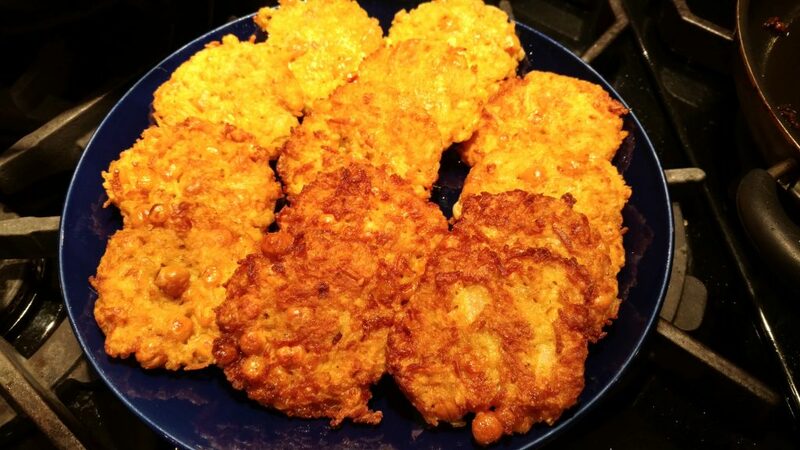 You can use the favorite Kosher Everyday SPICE PACKET to season these latkes as well. If using the Spice Packet omit the sea salt and black pepper from the recipe. Now…how to make the latkes! Heat the oil in the pan. 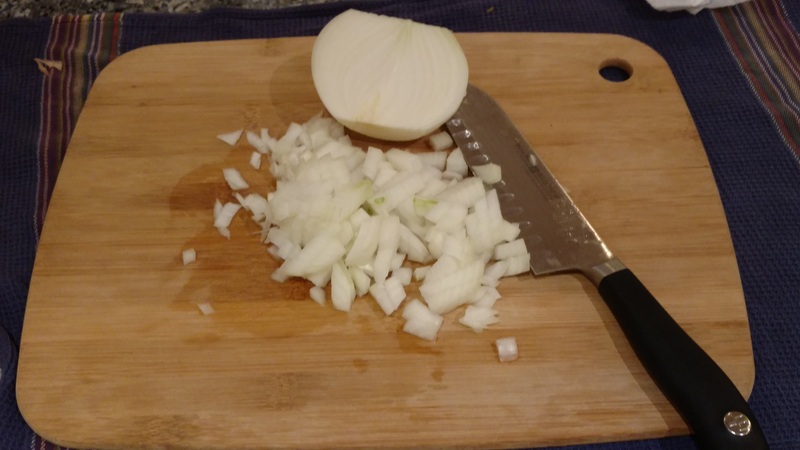 How do you know when it’s ready to fry the latkes? 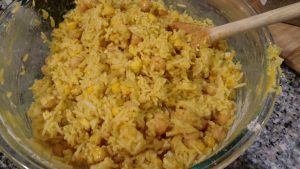 Put a little bit of rice mixture in the pan. If it bubbles and sizzles the oil is ready!!! Fry away! When they’re golden brown…flip them!